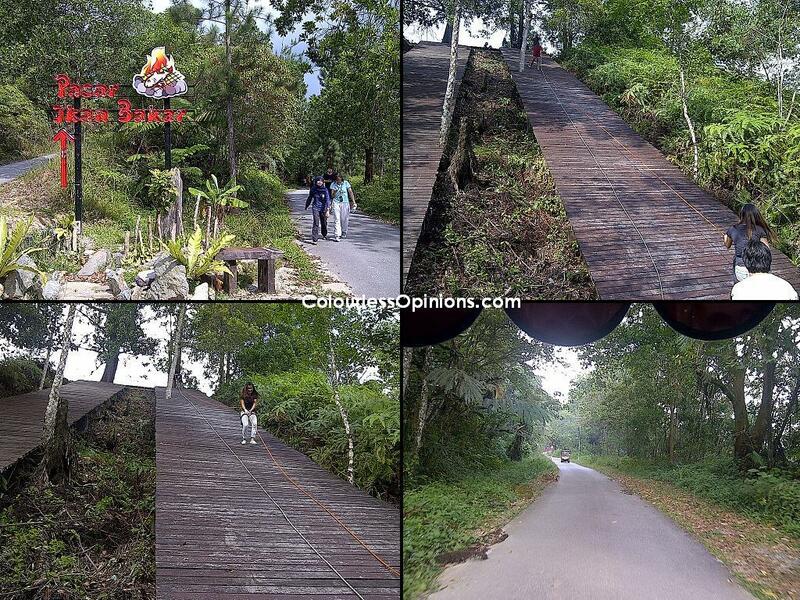 Did you know that there are actually outdoor activities in Genting Highlands other than the theme park? 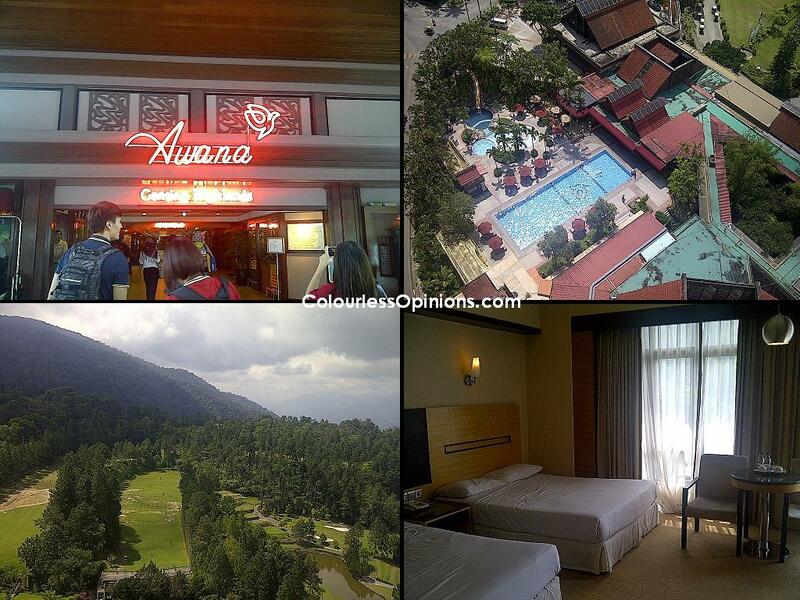 Well I never knew about it until recently when I was invited by Nuffnang and Genting for a fun two-day stay at Awana Genting Highlands Golf & Country Resort with the other bloggers. And no, the outdoor activities are not rides, golfing or a walk in the park. They are challenging eco-sports that would definitely make participants sweat at least a little. It doesn’t matter how much you weight or how physically weak you are. As long as you’re not a toddler or a senior citizen and have all of your limbs working, these adventurous outdoor activities are for you. We checked into the resort right in the afternoon and I was quite pleased with the room we were provided with. It’s spacious, it has two double beds, a toilet with bathtub and a balcony with the fantastic view of the entire place. My only complaints were probably just the weak air-conditioning and the lack of non-regular TV channels. We had buffet lunch at Rajawali Coffee House. It was where we had our breakfast and lunch on the next day as well. Most of the stuffs they served were consistently poor. Unless it’s complimentary, I suggest you go try the other restaurants around. Our first activity is the Highland Adventure Hunt, which was basically a mini treasure hunt that involves some puzzles and sports. We were randomly divided into three groups of six to seven for this race to finish all the tasks and challenges. 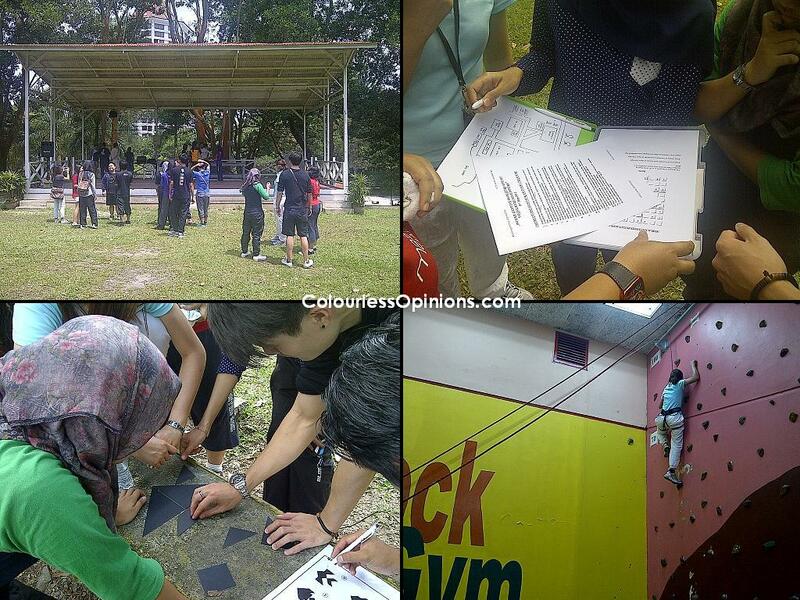 I didn’t wanna provide spoiler here but I guess it’s alright to name a few things we did during the process – rock climbing, archery, squash, abseiling, photo taking at specific locations, searching for items with clues and a lot of running of course. Nothing too extreme or difficult. The hardest task for my team was the Sudoku challenge at the beginning, which was kinda unfair to the participants who’re bad with numbers (like myself). Although I wasn’t that exhausted at the end of the hunt (only ’cause I’m used to cardio exercises every week), I sweated quite a lot. If you’ve experienced extreme outdoor activities or road treasure hunts a few times before, you may feel that this whole thing is a little too easy. But it’s good light family fun which almost anyone cannot fail to participate. It’s also a healthy way to develop teamwork amongst colleagues. A few of us were quite disappointed that there wasn’t flying fox though. The final challenge of the hunt was the abseiling challenge. It’s basically getting to the bottom from the top of a high hill with only ropes and a steep wooden platform as support. It’s very safe though. According to the hunt marshal, what we did was not the actual abseiling. He told us the actual term of it but I’ve totally forgotten what it was. Despite begin the last to get the first hunt clues thanks to the Sudoku challenge, my very self-motivated team managed to finish first and won the hunt. What was our reward for being the champion team? Pride, honour and free buggy ride back to the resort. The bath in the tub back in my room felt so awesome. 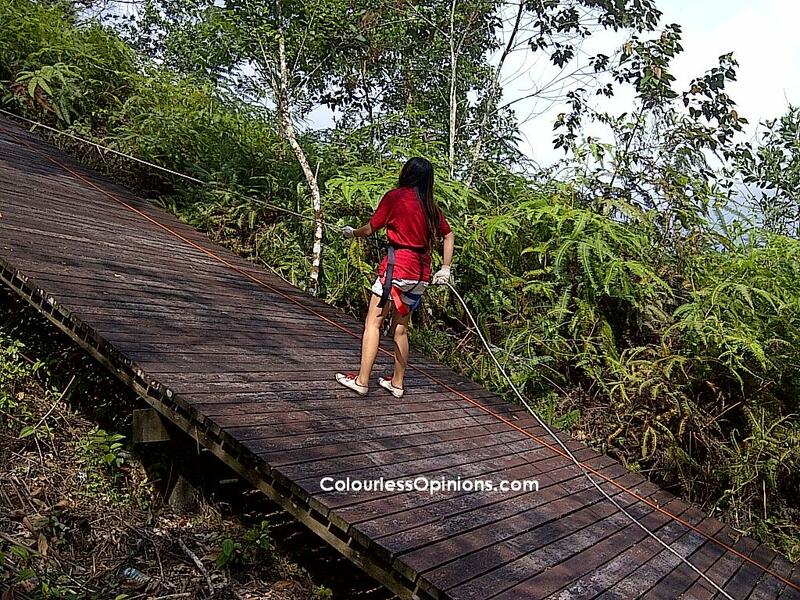 On the next day, we went jungle trekking on the longest course available – the Eco Trek. It was a three to four hour program of going deep into and through the jungle. There were Corporate Social Responsibility (CSR) tasks for us but shouldn’t the staffs be doing that instead of their customers and guests? ready to win this as well… until they said it’s not a race. So okay, I thought it was going to be just a long slow stroll in the park. Oh, how wrong I was. After doing some stretching and warm-up exercises, teams take turns to head into the jungle. Two of main tasks were to carry six small fishes along and to catch six leeches in the jungle. All six fishes have to be alive until they are set free to the river in the jungle. The natures of Awana is infested with leeches. We regret for not bringing any salt. I had like eight leeches that had successfully sunk their teeth into my flesh. My girlfriend had like 17. Our feet bleed like there was no tomorrow because we had to forcefully pull them off. 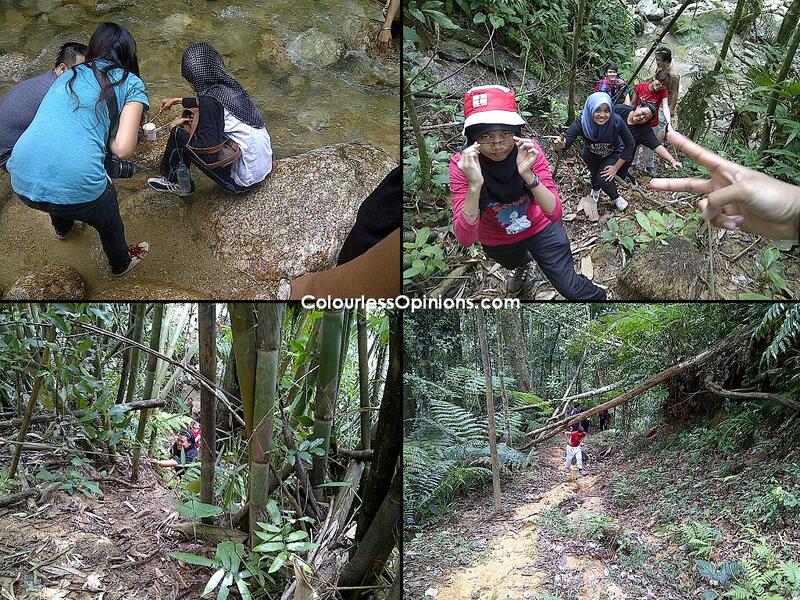 This was the most challenging jungle trekking experience I’ve ever had. thorns to dodge, other bugs to avoid, and a few more other challenges prepared by the marshals at the rest stops during the trek. It was quite an adventure and I absolutely loved it. The some of stuffs we did during day one’s hunt sort of gave everyone the basics of jungle trekking and therefore, nobody failed to go through to the entire process. My team completed all tasks and challenges but there wasn’t winners or loser for this. Every team was given a tree to plant and to name. One of the marshals said it’s actually pointless ’cause they management will ask to remove them and have it planted elsewhere. 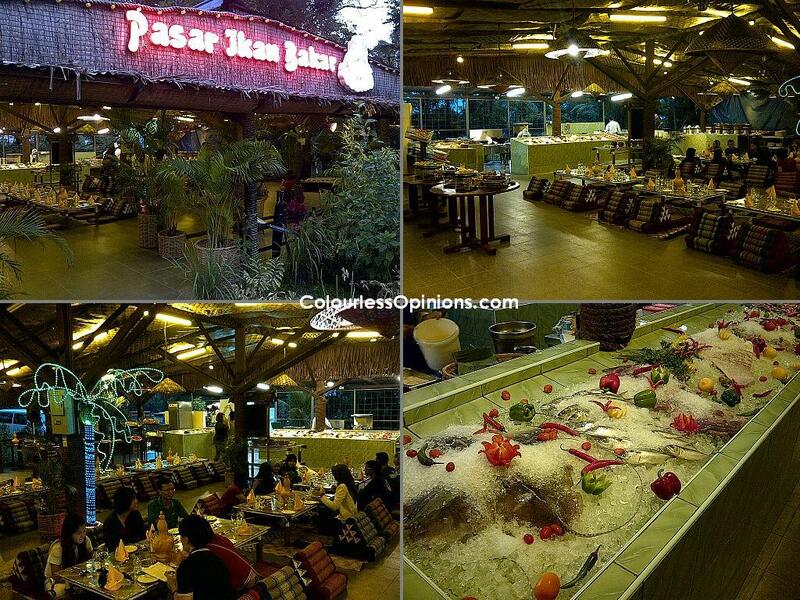 For dinner on day one, we had the privilege of dining at Pasar Ikan Bakar, a little hut for private occasions at Awana. A buffet of mainly seafood was served and almost everything tasted great. The ambiance of the place is very relaxing. We were seated on comfortable lean-able cushions instead of regular chairs. Unlike usual restaurants, they require advance reservation from customers otherwise they won’t be open at all. It’s suitable for corporate and big family outings. If interested, please contact Awana for enquiries. Please log on to Awana’s official website should you require more info. who bleed? 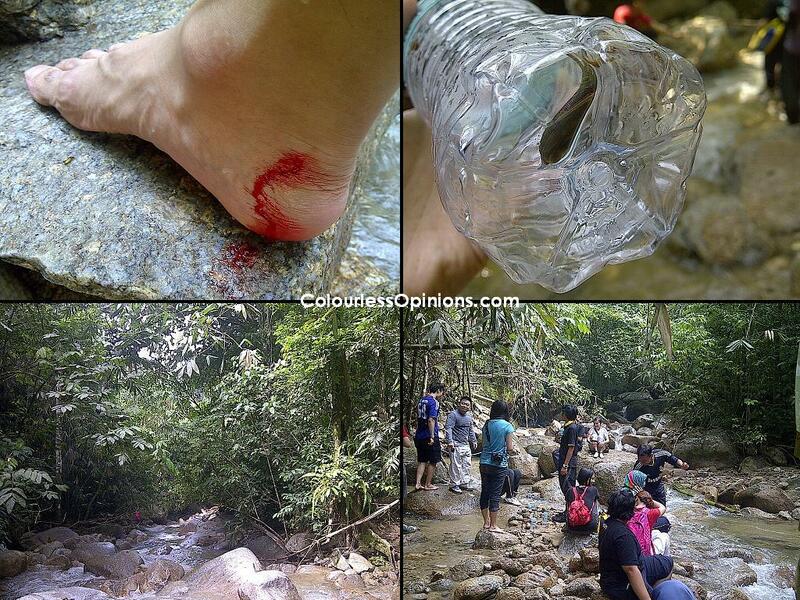 ouch.. pity.. but can see it was really a fun activities la.. 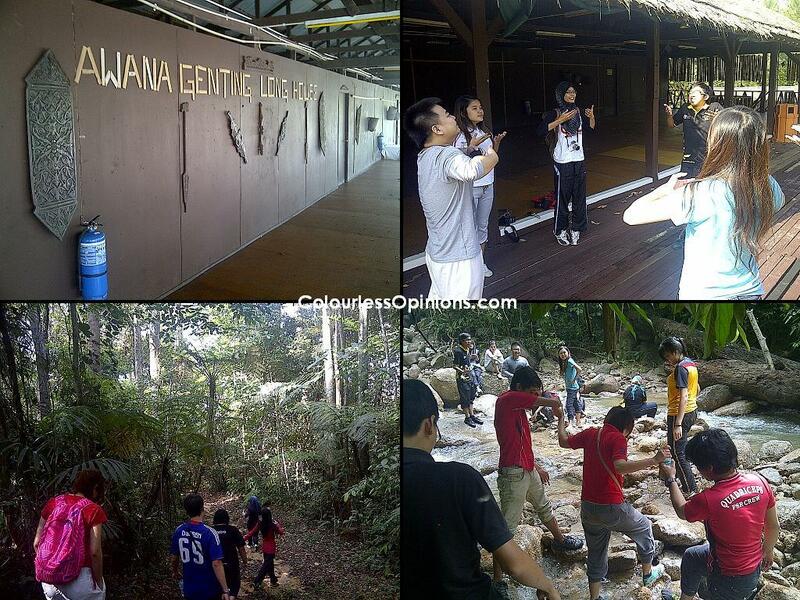 I never knew there is outdoor activities in Genting as well! It seems challenging to me though, not sure if I can sustain till the end of the 3/4 hours of jungle trekking with those leeches D: Poor Iris, 17 leeches? That's insane! That's fun! Especially the leeches part haha!! EEEEeee… I hate leeches! GELI. Does it hurt? @Henry Lee – Yeah, as mentioned on the entry, my team completed all tasks and challenges successfully. @Hilda Milda – Some of the bloggers who went were very unfit and yet they managed to finish around the same time I did so it was more of whether you're mentally determined or not. @josarine It actually very much like when mosquitoes are sucking our blood. The difference is that your feet would bleed a lot if they're pulled off forcefully instead of making them go away with salt.